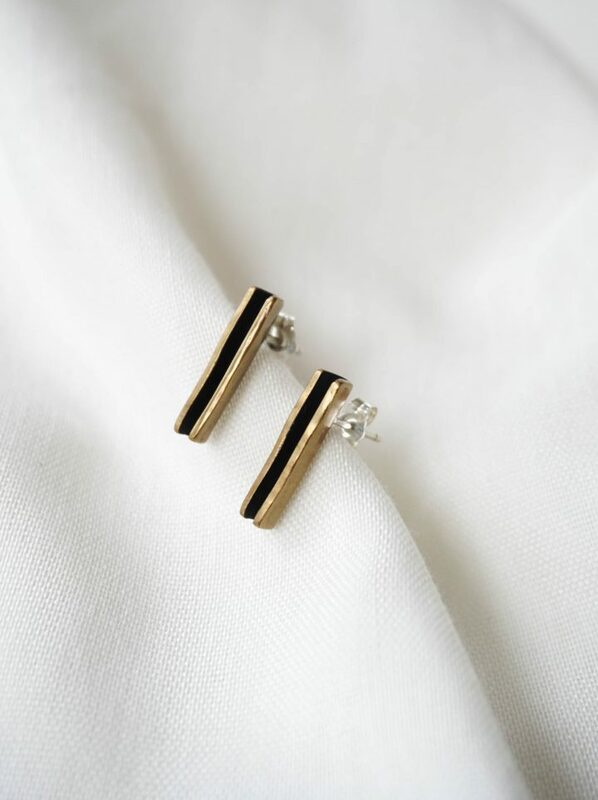 Touchstone series; a tactile reminder of how our imperfections make us perfect. 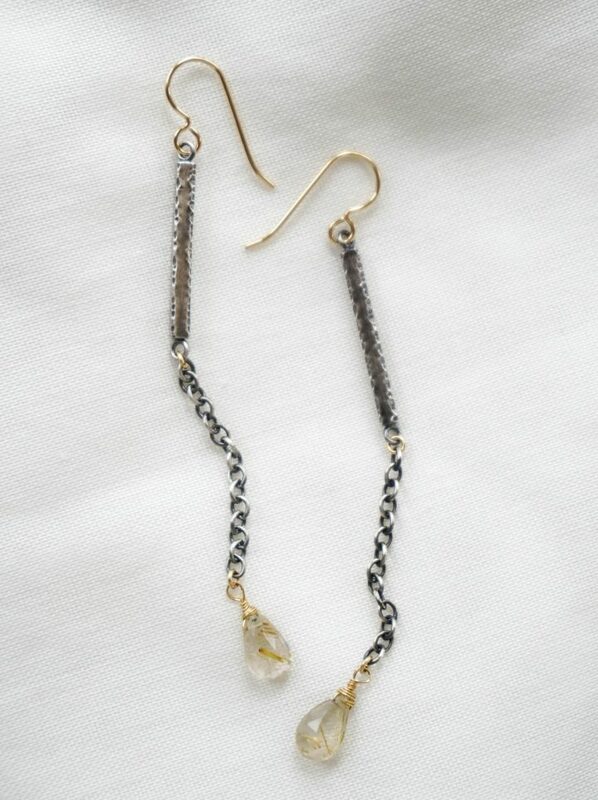 On the front, 18k gold gravel is fused onto the sterling silver i.d. tag. 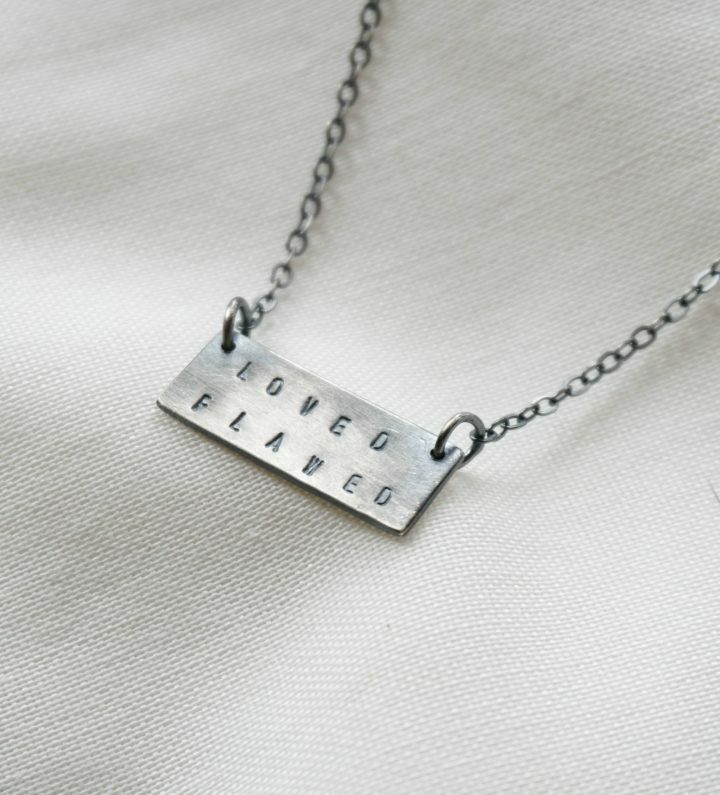 On the back reads “Loved Flawed’. i.d. measures 7/8″ x 10mm and hangs on your choice of 16″ or 18” sterling chain. 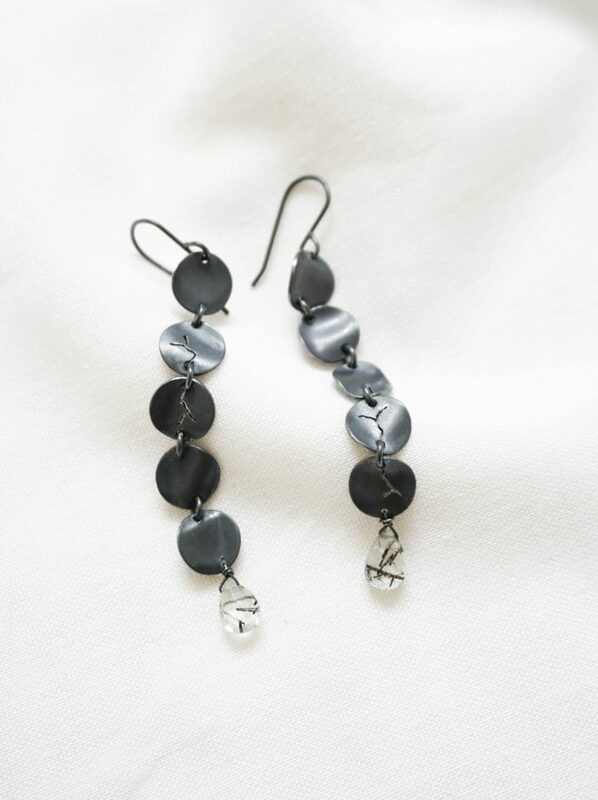 Touchstone series; a tactile reminder of how our imperfections make us perfect. 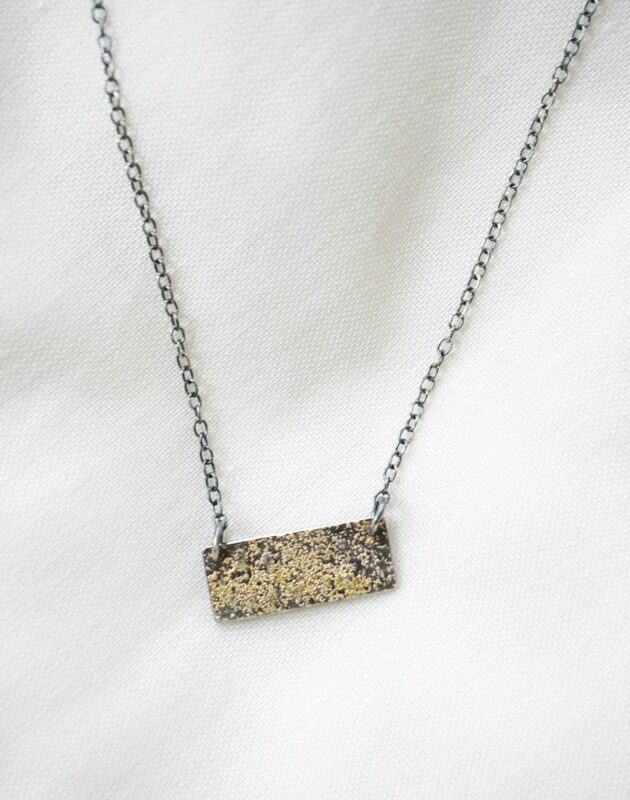 On the outside, solid recycled 18 karat gold gravel is fused onto a sterling silver. 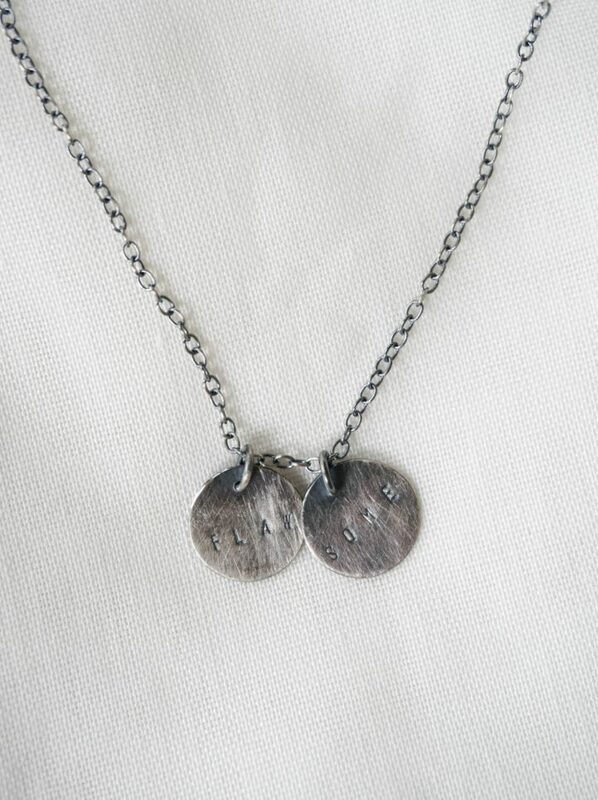 A gentle phrase is stamped on the opposite side to remind the wearer of the message when touched.